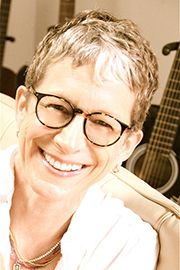 Victoria Price brings her unique story to the national and international stage as an author, inspirational speaker, blogger, designer, artist/art consultant, and interspiritual/interfaith minister. Price has become a popular speaker on inspirational topics, including the daily practice of joy, living your legacy of yes, how finding your magic word can change your life, the role of the arts in society, the life of her famous father, Vincent Price, and a range of topics on interior and industrial design. In 2012, Price was invited to be a TedX speaker, giving the talk, “Tell Me What Do You Have in the House.” Over the past fifteen years, she has spoken around the world to audiences who have enjoyed her ease, erudition, and inspiration as she shares her enthusiasm for living a joy-filled life. Price's popular blog, Daily Practice of Joy, chronicles her journey back to joy which began in 2011 -- the year in which the world celebrated the 100th birthday of her father with Vincentennial celebrations around the globe. In 2016, after living in Santa Fe, New Mexico, for a quarter century, Price embarked on an ongoing journey of intentional homelessness, chronicled in her new inspirational memoir, The Way of Being Lost: A Road Trip to My Truest Self (2018). Her critically acclaimed biography of her father, Vincent Price: A Daughter’s Biography, was published in 1999 by St. Martin’s Press and 2014 by Open Road Media.